I love finding cute new things for my kids to do in Los Angeles – especially when it’s a fun, healthy activity such as yoga. When invited to experience Zooga, a yoga studio just for kids, I jumped at the chance. Zooga is a play on words. Since many of the names for yoga poses are derived from animals that are at the zoo – Zooga is something that children can relate to. The one-room studio is a large space, perfect for a kids’ yoga class. The room is bathed in a comforting orange light and a handpainted mural of a small lion, a tree and a baby elephant lines one wall. Kids have toys to play with while they wait for their class to start and the studio and waiting area are divided by a half wall so that parents can keep an eye on young ones – or just watch as the magic unfolds – during class. My older daughter does yoga classes in school, so I knew that she was excited to show off her down dog and tree pose. I didn’t know how my younger one would take to yoga, but five minutes in, I had no doubts. Both girls followed along with the teacher as they mimicked animals with sounds, expressions and poses. “Teachers at the studio use imagination, adventure, play, props and music in every class,” said Antonia King, founder and owner. The teacher followed along with a book to keep the younger ones entertained. They sang songs and did more poses. As a mom, I thought that they would possibly get bored after about a half hour but, after the full hour had passed, I think they could have gone on even longer. As we walked out of the studio, they asked if they were coming back tomorrow…sadly, no, I told them. But I will definitely be bringing them back soon. 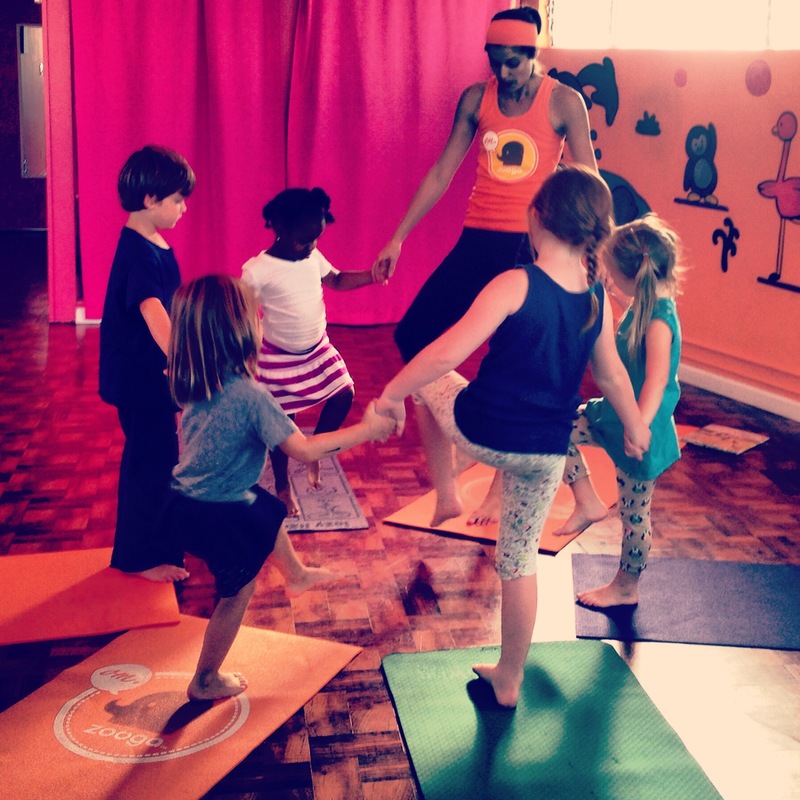 Zooga is dediated to yoga for babies, kids and teens, but also offers adult classes as well as a variety of specialty classes including Sing and Sign for babies, ballet classes and family classes. The studio also offers family drop off nights as well as birthday parties and holiday camps.